A new trailer for Daredevil season 3 has arrived online. This teaser brings along with it the confirmation that the highly-anticipated new season will arrive on Netflix October 19. 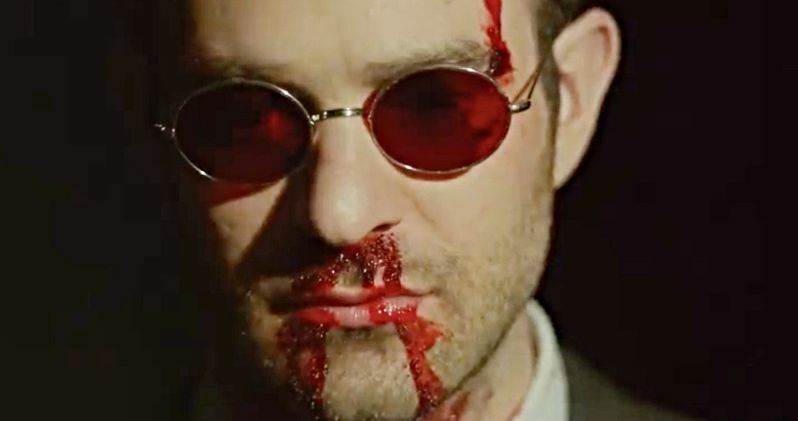 This date was previously reported by one of the streaming service's international social media accounts, but now we know for sure that Matt Murdock will be back in about a month. And as we see in this new footage, he's heading to a very dark place. This teaser doesn't include a ton of footage from Daredevil season 3, as it really is intended to set the tone for what's to come. We see Matt Murdock bloody, but suited up like he's ready to do battle in court, as opposed to on the streets. However, he's clearly not done trying to mop up the streets of Hell's Kitchen. But his approach has changed dramatically. Murdock is ready to do away with evil for good, as he states in the trailer. "There's only one true way to end evil. To finish it for good." He punctuates the video by saying, "let the devil out." If it wasn't already abundantly obvious that this isn't going to be the righteous version of Daredevil that we've seen in season's past, that little stinger at the end makes it inescapably clear. To really drive the point home, Netflix also released a new Daredevil poster that has some serious religious parallels, which makes sense given that the character has always had a strong, if complicated, relationship to his faith. But the blood red coloring and tagline put it over the top. Over the course of two seasons of his own show and a season of The Defenders, this character has been through a lot. He's been beaten within inches of his life on far more than one occasion and has seen a ridiculous amount of death, violence and destruction. For all of his troubles, Hell's Kitchen is still a crime-ridden mess and Matt Murdock's personal life has also taken a serious dive ever since turning into a vigilante crime fighter. It's not exactly tough to see why the man is going to the dark side. He still wants justice, but he's trying to go about it in a new way that actually gets results. We got our first taste of Daredevil season 3 at the end of Iron Fist season 2, which just debuted a couple of weeks ago. It had already been revealed at that point that the new season would drop before year's end, but the streaming service isn't even making us wait two months between seasons of Marvel shows this time. Since this is just a teaser, we should expect a full trailer in the coming weeks, so be on the lookout for that. Be sure to check out the new Daredevil season 3 poster and teaser from Netflix streaming for yourself below.